GRASS VALLEY, Calif. — Jan. 22, 2019 — Newly formed 501(c)3 nonprofit Veterans-TV Inc. (VETV, www.veterans-tv.org) is preparing to launch hands-on professional television production training courses for veterans of the U.S. armed forces, law enforcement veterans, and firefighters who have lost their employment due to injury or attrition. VETV is creating a mobile classroom within Denali Gold, a remote production truck donated to the cause by NEP, and will provide courses in cities across the U.S. when integration of donated broadcast equipment is complete. Led by industry professionals on a volunteer basis, VETV courses are open to all veterans, their spouses, and dependents over 18, regardless of race, gender, ethnicity, religion, or sexual orientation. Proposed courses will address roles such as video technician, camera operator, audio technician, technical assistant, editor, technical director, and engineer in charge (EIC) and areas of expertise including алчен Media Composer (NLE), Adobe Premiere Pro (NLE), character generator/art, EVS operator, and information technology (IT). All courses except the EIC course will be 192 hours with eight hours of hands-on tests. Lefcovich and the VETV advisory board have so far raised more than $2 million in donations of modern, state-of-the-art TV production and postproduction equipment, with NEP and Grass Valley, a Belden Brand, offering extensive support in terms of equipment donations and integration. In fact, all of the equipment being installed in Denali Gold for training purposes has been donated by manufacturers and broadcasters including AJA, Blackmagic, Calrec Audio, Ensemble Design, EVS, Kramer, Renegade Labs, Рос видео, Telestream, and many more. Integration started at the beginning of December. In its previous career with NEP, Denali Gold was involved in high-profile remote broadcasts including the Academy Awards®, the Grammy® Awards, the Emmy® Awards, “America’s Got Talent,” “Entourage,” “American Idol,” “Shark Tank,” “Showtime at the Apollo,” Fox network upfronts, presidential inauguration concerts in Washington, D.C., and scores of other broadcasts. Lefcovich was a cameraman for ABC Wide World of Sports in the ’70s, edited hundreds of TV shows and commercials in the ’80s, trained many hundreds of editors while working as the senior applications specialist for the Grass Valley Group, and served as tech support and trainer for five different Olympics. He also is one of the founders of Editware, a designer and manufacturer of hybrid editing systems. Further information about VETV and details about donating to the organization are available at www.veterans-tv.org. VETV is a nonprofit corporation dedicated to offering hands-on professional training to veterans of the U.S. armed forces, law enforcement veterans, and firefighters who have lost their employment due to injury or attrition, as well as to their family members. Information about VETV, its training courses, and opportunities to volunteer or donate is available at www.veterans-tv.org. Всички запазени марки, които се съдържат тук, са собственост на съответните им собственици. 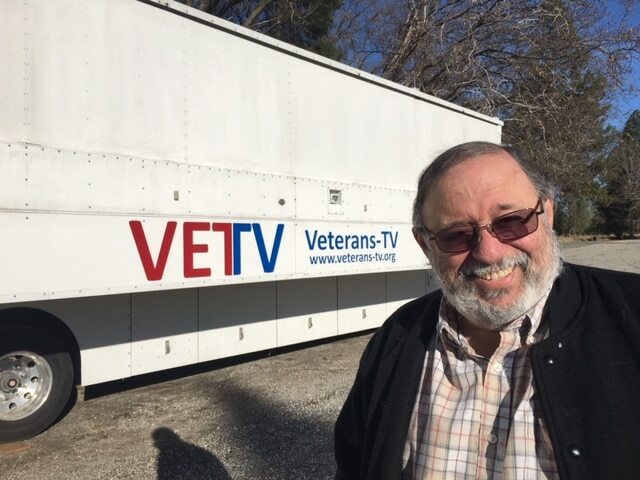 Снимка: Robert Lefcovich, president and founder of Veteran’s TV with the VETV remote truck. Lefcovich has worked in Remote Trucks for VTE (Video Tape Enterprises), Trans American Video, and ABC Wide World of Sports. 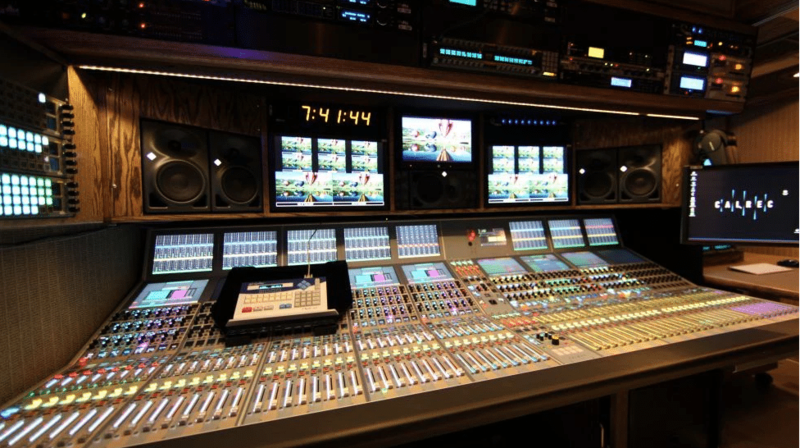 Photo Caption: Grass Valley donated a Kayenne Switcher to the VETV remote truck.